Earlier this summer, Lynne Bleeker, a seventh-grade science teacher at Parkview Middle School in Ankeny, Iowa, wasn’t just preparing for classes. 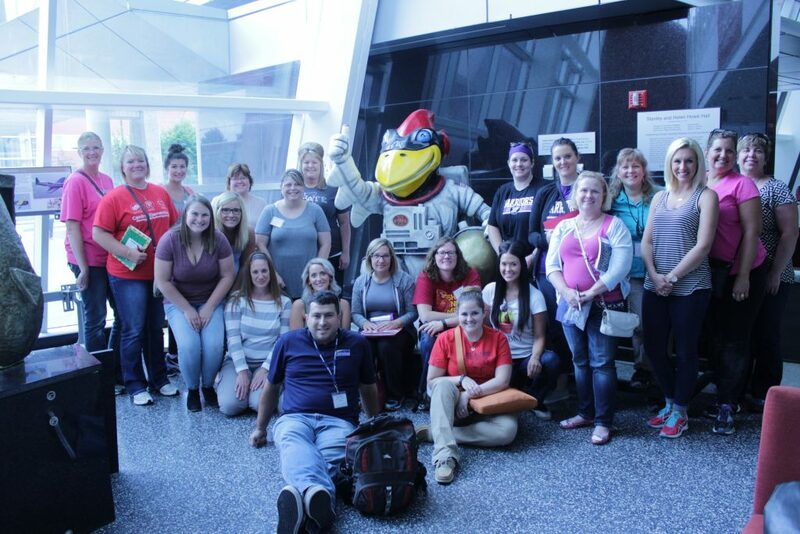 Bleeker was helping facilitate 22 elementary teachers from across Iowa who attended the Midwest Transportation Center (MTC) sponsored Teaching in the Fast Lane Workshop. Bleeker was chosen because of her dedication to education as well as her willingness and drive, among many other exceptional qualities. But the MTC wasn’t the only one to notice. On August 24, President Barack Obama named Bleeker a recipient of the prestigious Presidential Award for Excellence in Mathematics and Science Teaching. She was officially given the award, which included a $10,000 stipend from the National Science Foundation, at a ceremony in Washington, D.C., on September 8.